An arrow-sharp jacket with great style, the Obermeyer Sierra Ski Jacket is also a feature-driven ski coat. Its HydroBlock® fabric and mapped synthetic insulation are the same materials you'll find in some of Obermeyer's top adult jackets. Features like the ear warmer-lined hood and fleece back warmer are actually enhanced over what the adults are wearing. Adults don't need a growth system, but children definitely do, so Obermeyer sews in its I-Grow™ system. Other features include mitten-retention clips, a powder skirt, a fleece chin protector, and a working compass. "Will this coat match Iris Purple snoveralls. Or is it a totally different color?" 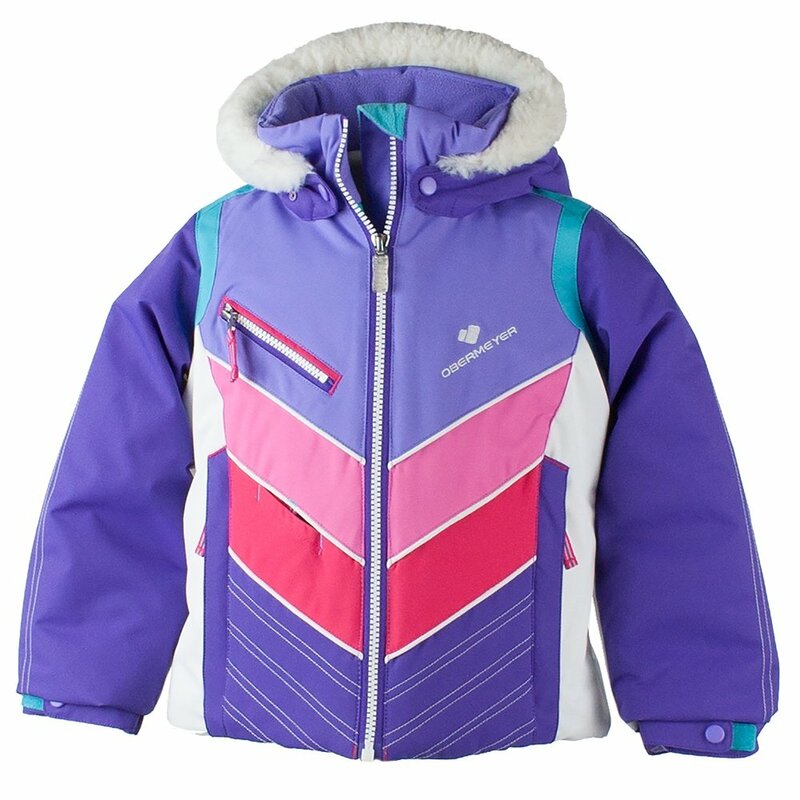 "The Obermeyer Sierra Ski Jacket in Grapesicle will not match the Iris Purple. We have the Obermeyer Snoverall Ski Pant available in Grapesicle which would be the perfect match. Hope this information helps!" "Will this jacket in peony pink match the Obermeyer Snoverall pants in glamour pink?" "The matching pant for the Obermeyer Sierra Ski Jacket in Peony Pink is the Obermeyer Snoverall Ski Pant in Smitten Pink. The are from the same season and are meant to be coordinated. Click HERE to view the pants. Hope this information helps!"